Complete your bedroom and add a sense of sophistication with this traditional style low profile upholstered bed. 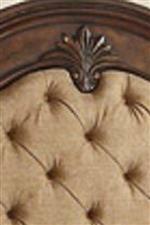 The beautiful upholstered headboard features lovely tufting complemented by elegant wood molding. 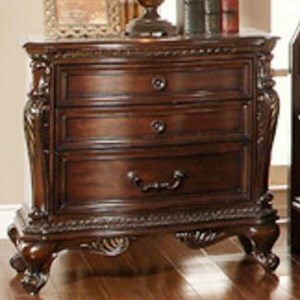 The upholstery offers a pretty contrast to the cherry finished wood of the piece. 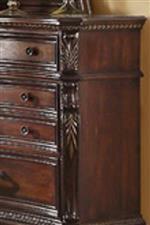 The footboard and rails each boast elegant egg and dart molding contributing even further to the traditional look of the piece. The Bonaventure - 1935 Queen Low Profile Bed by Homelegance at Hudson's Furniture in the Tampa, St Petersburg, Orlando, Ormond Beach & Sarasota Florida area. Product availability may vary. Contact us for the most current availability on this product. 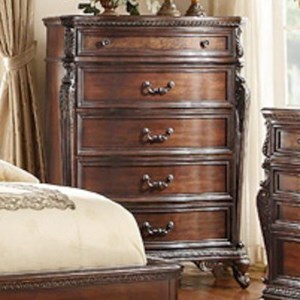 Add sophistication to your bedroom with a piece from this collection. 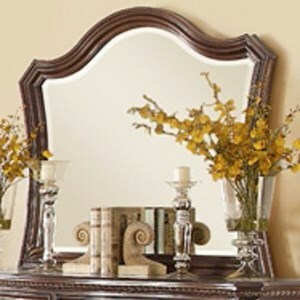 Each piece in this collection is finished in a beautiful warm cherry while elegant egg and dart molding adds a traditional style to the collection. Storage pieces in this collection boast dovetail joinery for strength and durability as well as ball bearing glides for smooth operation. 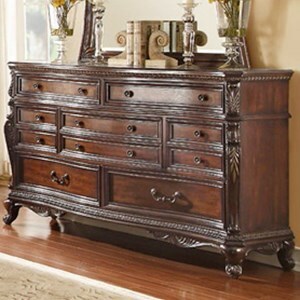 The Bonaventure - 1935 collection is a great option if you are looking for Traditional furniture in the Tampa, St Petersburg, Orlando, Ormond Beach & Sarasota Florida area. 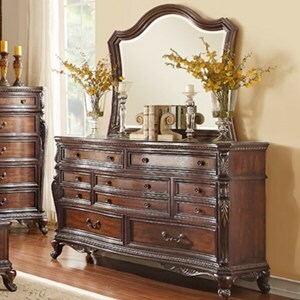 Browse other items in the Bonaventure - 1935 collection from Hudson's Furniture in the Tampa, St Petersburg, Orlando, Ormond Beach & Sarasota Florida area.